Video Doorbell Review: Love your home? Put a Ring on it! Everybody loves technology that just works as soon as it’s out of the box, and the Ring video doorbell delivers this with style. We’ve explored the different options offered by the Ring and overall we’re impressed, but it really comes down to what you’re looking for. If it’s an off the shelf video doorbell to your phone then Ring is the way to go, but if you’re looking for a regular doorbell, there are other options out there. 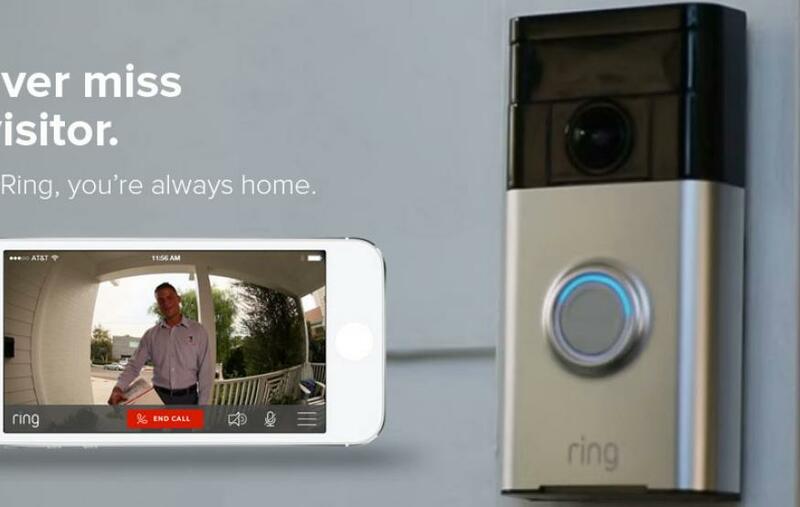 The Ring is a security system, doorbell, WiFi access point, secure Cloud video streaming solution rolled into one. This broad set of what is usually individual pieces of technology makes it sound like the installation manual would rival an encyclopedia but is in fact barely 3 steps. For the tech side of the setup, if you know how to connect your phone to your houses WiFi, unpack a box and plug in a micro USB then you’ve met the prerequisite knowledge on how to set up the Ring’s security system. The last step is wiring the doorbell chime to your house but this is an optional feature as you can just use the Ring doorbell with your phone. Setting up the Ring involves installing the app, pressing a button which hosts a WiFi access point (this made my eyes boggle at how ingenious that is) and then following a few on screen steps. The longest part of this process was downloading the app from the PlayStore. From this point I could press the button on the Ring door bell and my phone would pop up with a video stream from the Ring. The simple installation process is truly impressive and the extended fish eye lens vision will make you look twice. The two things I didn’t like about the Ring is there’s nothing stopping someone from just unhooking the Ring from the wall mount, and the need for it to be recharged. The fact that the Ring can just be plucked off the mount seems very silly, especially as the only prevention the creators have posted for this is “the thief would be recorded whilst in the act”. The sole reason for this is to make it easier to recharge the Ring when needed; the easy solution would be to have a constant USB connection instead. I feel this would-have been fantastic if you could connect it to a USB power source because you need to wire the doorbell chime anyway. Instead the base plate upon which the Ring sits covers the micro USB port entirely making this impossible. Note that the Ring still works whilst charging so it’s just the back plate that prevents this when mounted. The app may be slow but if you have the patience to wait about 3 seconds then this is entirely forgivable. However, a serious problem that arises is if you like extending your phone’s battery life like me, then you probably close apps in the background and background task killers prevent the Ring app from recognizing that the Ring has an alert. In the end the Ring is a very functional product that does work. What separates it from everything else is it’s ease of use, but what holds it back for me is mainly the need for it to constantly be running in the background.